Today (March 3rd) is a special day in Japan: hinamatsuri (雛祭り), also called Girl’s Day or the Doll Festival. To pray for the health and happiness of girls in a family, households set out dolls during February, sometimes on a platform with the emperor and empress dolls at the top. The dolls have a gold byobu screen behind them and various accessories can be placed around them (as well as several tiers with other dolls below). When girls are born, families are often given dolls as gifts from relatives to pray for the health of the child, and these can also be brought out to display for hinamatsuri. 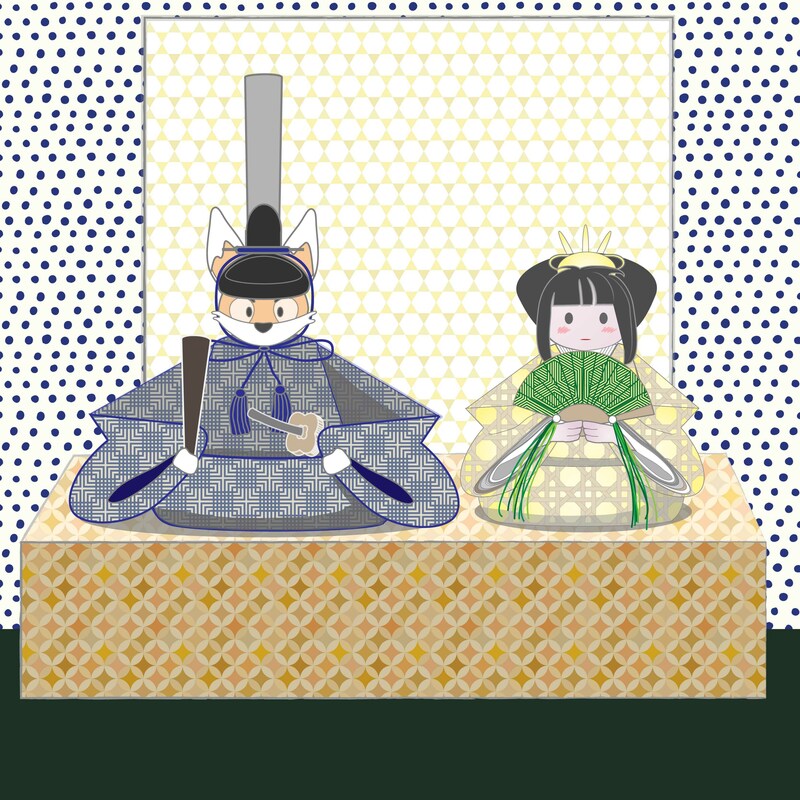 Here Miko-chan and Kiku are dressed up as the empress and emperor in a modern arrangement with Kiku on the left. Foods traditionally eaten on this day include chirashizushi (ちらし寿司), sushi rice seasoned with sugar and vinegar and topped with a range of ‘scattered’ topping ingredients and clam soup (ushiojiru), as clam shells symbolise a united and happy couple.